Successful business owners and professionals often have maxed out the tax deductible and elective deferral contributions to their qualified retirement plans, such as profit sharing, 401k, or Simplified Employee Pension (SEP) type plans. Often, this prompts questions to their financial professional on whether there are plans that could provide additional supplemental retirement income. Is there a simple plan that can be offered selectively to S Corp, C Corp, or LLC shareholder-employees that can provide a special benefit plan just for the business owners on a tax-favored basis? Yes. A non-qualified benefit that can be offered selectively, may provide a valuable retirement supplement to the business owner. For instance, the business owner may have reached the 2016 limit of $18,000 for contributions to the company 401k plan. Participants age 50 and over can increase their contribution limit to $24,000 by taking advantage of the $6,000 catch-up provision. What else can be done for this business owner without including employees in the plan? The plan that could be attractive is known as a Section 162 Executive Bonus Plan which can be selectively provided to the business owner. The financial product that may provide the best accumulation vehicle for a supplementary retirement benefit is a specially designed life insurance product that takes advantage of the tax-favored benefits of life insurance found in the Internal Revenue Code (IRC). Death benefits of life insurance are income tax-free under IRC Section 101(a)(1). The death benefit will self-complete the retirement plan for the family if the business owner dies prior to retirement. The annual cash value growth of any type of permanent life insurance product grows tax deferred. This is the same tax deferral available to non-qualified annuities and stocks or equity mutual funds. Most importantly, life insurance withdrawals of the cash value up to cost basis can be made tax free on a first-in / first-out (FIFO) basis under IRC Section 72(e)(5)(A) and (C). Loans from life insurance cash value can also be made tax-free under IRC Section 72(e)(5)(A). To obtain the tax-free withdrawal and loans from a life insurance policy, the policy must NOT be classified as a Modified Endowment Contract (MEC), where too much premium is paid into a life insurance policy for a given face amount. A MEC can result by a failure to meet the so-called 7-pay test of IRC Section 7702A. IRC Section 72(e)(10) states that both withdrawals and loans from a MEC in a gain position will be taxed on a last-in / first-out (LIFO) basis. In other words, gain amounts come out first as taxable income in the same way as a withdrawal of LIFO gain amounts from non-qualified annuities are taxed. So, based on the IRC income tax rules for life insurance listed above, how might we design a selective Section 162 Executive Bonus plan funded with life insurance? How can we efficiently accumulate the most cash value for a given amount of life insurance death benefit while still maintaining the tax-favored non-MEC status of the policy? Let’s take a look at the following case study of a successful small business owner who has maxed out contributions to the company 401k plan. His S Corp pays a tax-deductible bonus of $80,000 to the S Corp owner (Mr. Wilson). In a 40% tax bracket, the S Corp owner uses $32,000 for income taxes and allocates $48,000 per year into a personally owned Indexed Universal Life (IUL) policy from a competitive carrier. His net after-tax outlay is $0 because the extra taxable bonus provides enough cash flow to pay both the personal income taxes and the annual premium outlay. The IUL policy is assumed to provide a hypothetical non-guaranteed indexed crediting rate of 6%. The upper cap rate for this indexed product is 12%. This typical indexed life product has minimal downside risk of 0% subject to the annual cost of insurance charges. The minimum non-MEC death benefit for age 50 with preferred underwriting is $882,000. The non-guaranteed death benefit grows to $1,268,000 by age 65 and then slowly starts to decline as tax-free distributions are made from the cash value. By life expectancy (age 83 for current age 50), the non-guaranteed death benefit has declined to $768,000. The Internal Rate of Return (IRR) on that age 83 death benefit is still a non-guaranteed 5.44%. In a 35% tax bracket, the pre-tax equivalent IRR at life expectancy age 83 is 8.37%. The $48,000 annual premium is paid for just 7 years (age 57) so that the policy passes the 7-pay test to achieve non-MEC status under IRC Section 7702A. No additional premiums are paid from years 8-15 (age 65) to preserve non-MEC status. At age 65, the hypothetical non-guaranteed tax-free income stream of about $40,000 from the non-MEC will be paid from years 16-30 (age 80) to provide supplementary retirement income. First, tax-free withdrawals of cash value up to the cost basis will be distributed. When the cost basis has been adjusted down to $0, then a switch to tax-free policy loans will be requested. Policy loan interest will be capitalized and added to the loan principal. In a 35% assumed tax bracket, the $40,000 of non-guaranteed tax-free FIFO policy distributions are equivalent to $61,538 of taxable income. The cost-of-insurance (COI) charges are minimized by the minimum death benefit non-MEC design. This allows for a maximum non-MEC outlay into the policy to accrue cash value as soon as possible in the first 7 years. Depending on future business and personal circumstances, another 7-pay minimum death benefit non-MEC could be underwritten at age 57 to further supplement retirement income. Depending on future retirement and estate planning circumstances, the accumulated cash value of the indexed UL policy could be part of a future tax-free Section 1035 exchange to a no-lapse UL policy to provide a much larger tax-free death benefit. This may be the case if future circumstances determine that any supplementary retirement income is not needed because other income sources are available. Of course, new medical underwriting would be needed to complete the Section 1035 exchange. Keep in mind that the 6% assumed rate of return on the indexed accounts is not guaranteed. The policy must be kept in force all the way until a tax-free death benefit is paid. If the policy lapses due to poor performance or excess withdrawals or loans while the insured is still alive, a significant taxable event will take place. A lapse of a heavily loaned policy in a gain position will generate a taxable Form 1099-R from the insurance carrier. Since the adjusted cost basis will have been reduced to $0 in our plan design, the outstanding cumulative loan plus unpaid interest will be taxable income to the policy owner upon a lapse. So, the policy must be closely monitored to make sure it never lapses. Certain carriers have so-called over-loan protection riders to make sure a lapse will not occur and preserve some smaller amount of income tax-free death benefit. If this over-loan protection rider is triggered in the future, no more withdrawals or policy loans will be allowed. 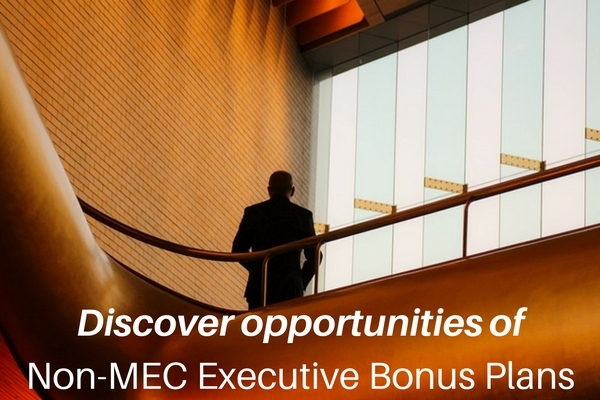 Contact your BSMG Life Advisor to discuss the Section 162 Executive Bonus plan funded by a 7-pay minimum death benefit non-MEC. 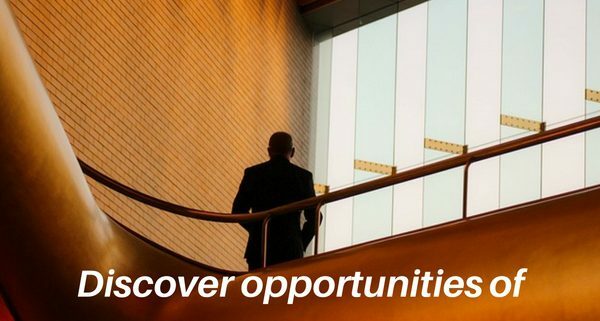 BSMG provides IUL policies with over-loan protection riders for your business owner and professional clients seeking a non-qualified supplementary retirement benefit.